One of the famous tournaments on the US poker sircuit is up and running with 400 players heading to Atlantic City for Day 1a of the WPT Borgata Open. 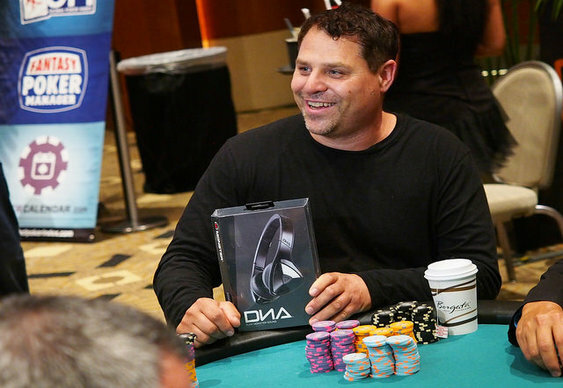 Leading the way after Sunday's action was Ben Bianco, whose monster chip lead earned him a set of swanky Monster headphones. Bianco will return with 389,000 chips thanks largely to winning a three-way all-in just before the close. The chips hit the middle on a 7-3-3 board with Bianco's pocket kings in great shape against pocket nines and 7-6. The turn and river were bricks to give Bianco an enormous lead. Andrew Atkinon is Biancos's closest challenger, a distant 155,000 chips behind the leader on 234,900. Plenty of notables took to the Borgata tables yesterday with Travell Thomas (196,600), defending champion Anthony Zinno (146,900) and Darren Elias (126,100) all surviving the day. Jonathan Little, Jared Jaffee and Matt Salsberg were among the list of familiar faces who hit the rail. They'll get a chance to try their luck once again as re-entry is open until level sevn on the second opening flight. The action in New Jersey resumes at 11am local time (4pm UK time).